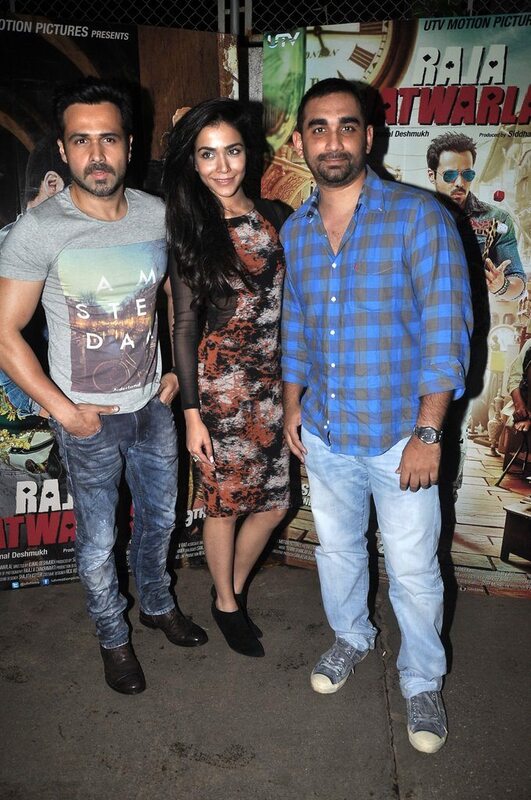 The lead pair attend Raja Natwarlal special screening in Mumbai. 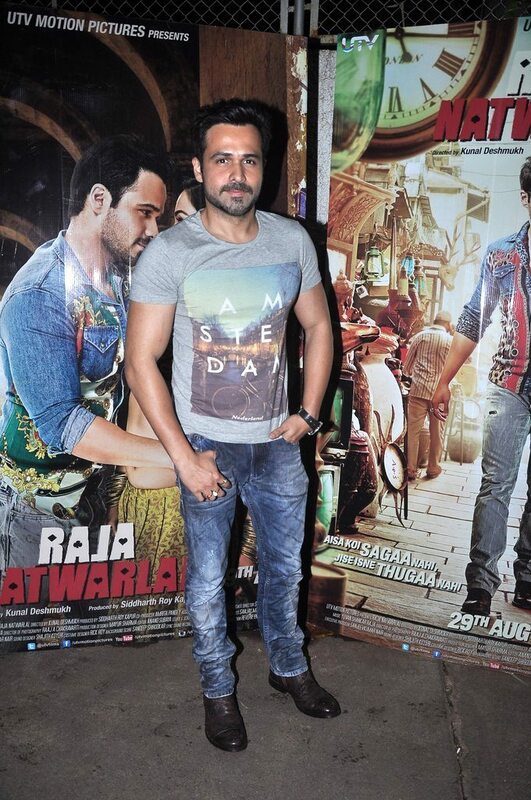 Bollywood actors Emraan Hashmi and Humaima Malik caught the screening of their upcoming movie ‘Raja Natwarlal’ at Sunny Super Sound in Mumbai on August 26, 2014. 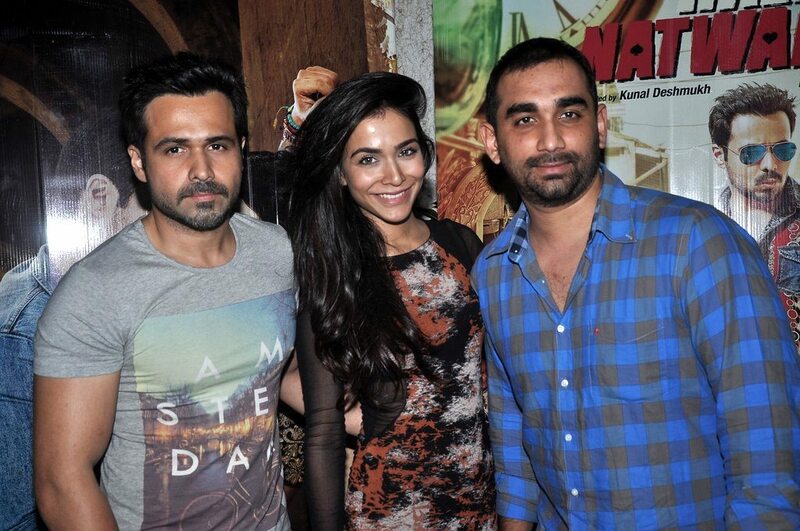 The movie is all set to hit theaters on August 29, 2014. 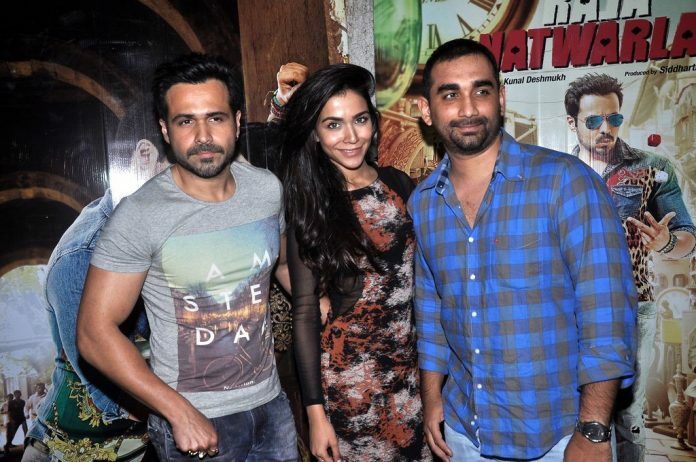 The Pakistani model will be seen making her Bollywood debut in this movie. It is directed by Kunal Deshmukh, featuring Kay Kay Menon and Paresh Rawal. While interacting with the media, Humaima said that since there was no vulgarity in the movie, it could be enjoyed by a family audience. 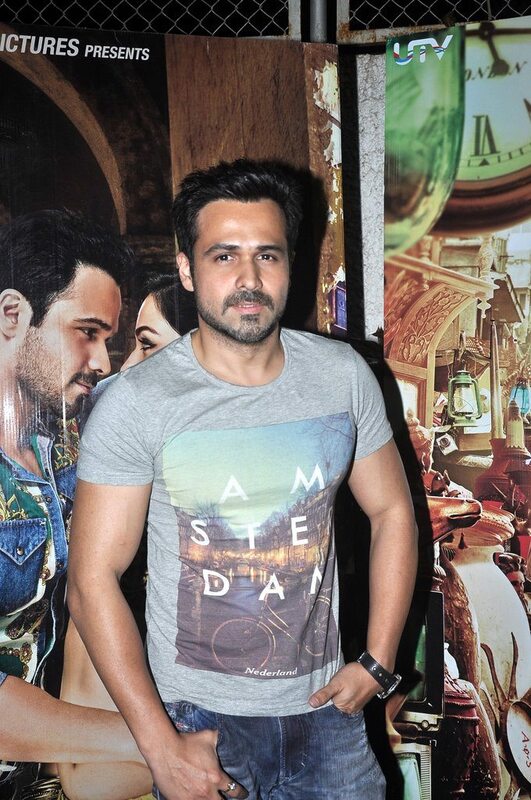 In the movie, Emraan will be seen playing the role of a con man. 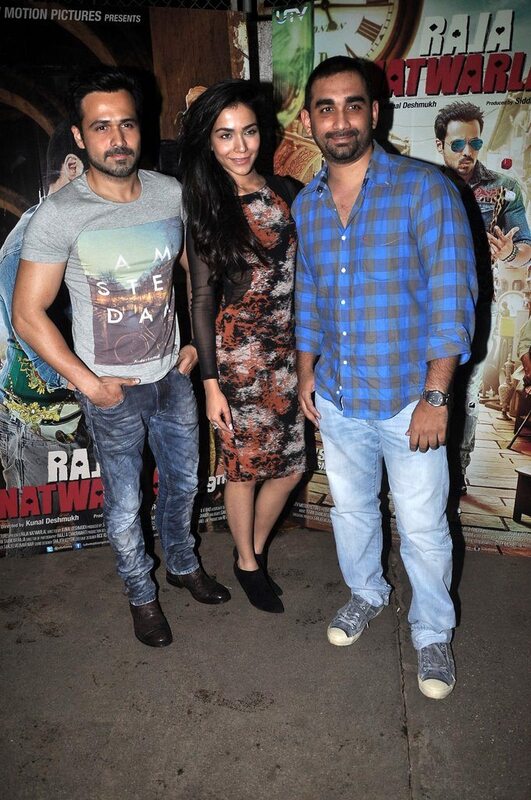 Yuvan Shankar Raja has composed the music and the film is produced by UTV Motion Pictures. 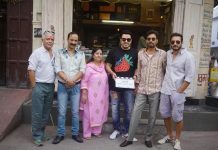 The movie is inspired by the 1979 Amitabh Bachchan starrer ‘Mr. Natwarlal’.